For a natural, elegant look that will last a lifetime. Each individual hair stroke enhances your eyebrows for a fuller, more beautiful you. Whats new in the world of Eyebrows? Microstroke Layered eyebrows are individual hairstrokes perfectly placed to uniquely fill in your natural eyebrows. Powdered eyebrows mimics the appearance of conventional eyebrow makeup whether it be a eyebrow pencil or eyebrow powder. Enhance your eyes with this trick that will make your eyelashes look longer, fuller, and thicker. 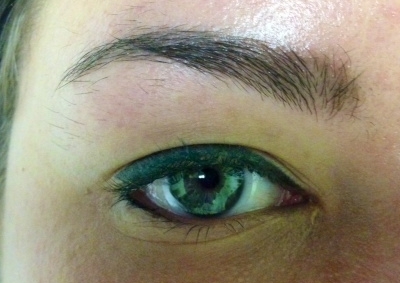 Permanent eyeliner is applied into the lash line and in the area where the eyelid becomes the eye (waterline). This eyeliner technique makes the lashes appear to start further back on the eyelid, thus making them look longer, fuller, and thicker. It also emphasizes your eyes without emphasizing your eye makeup. Permanent eyeliner is applied to the top or bottom lash line. Each eye is different and you can have it simple with a nice fine line or thick for a more dangerous look. Two-tone eyeliner involves any combination of two colors you prefer that are applied very thinly to one another for a more adventurous look. We are open from Monday thru Saturday, 9am to 5pm. Walk Ins are welcome! Please call us at (702) 364-8398.